New SGT. WILL GARDNER Trailer Arrives! Free Advance Screening Passes to THE FOREIGNER Starring Jackie Chan! 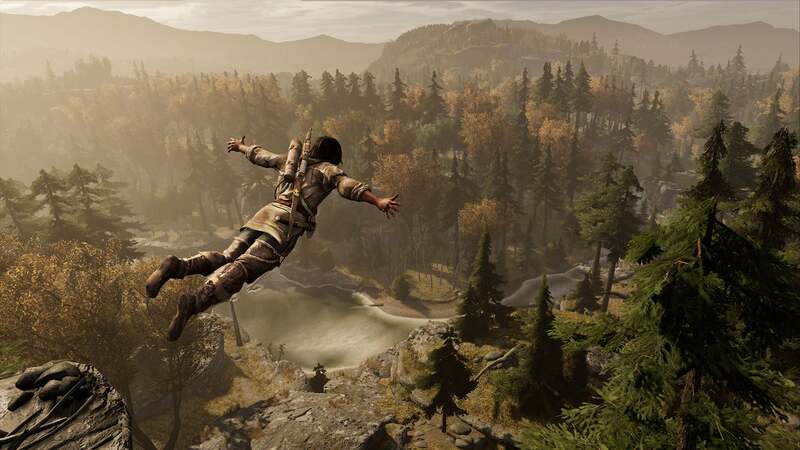 When Assassins Creed 3 was first released back in 2012 it was met with generally positive reviews. 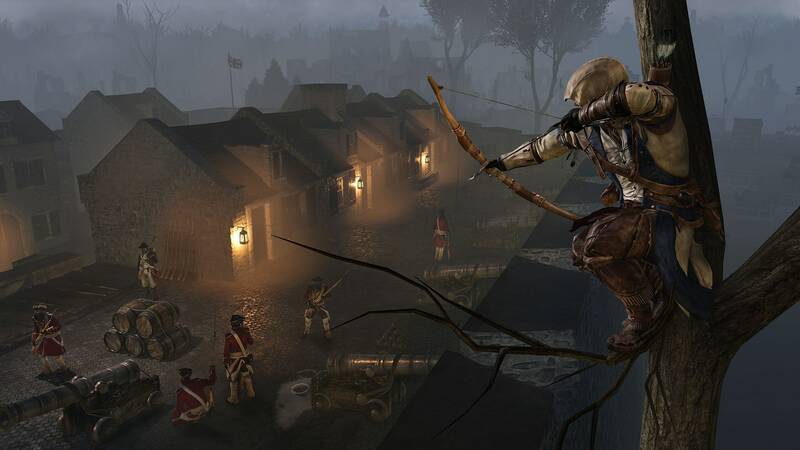 The hit Ubisoft franchise tackled the American Revolution with an original and unique story that pushed the narrative for the series but failed to do so in a unique way with many critics blaming the inconsistent pace of missions. Flash forward 7 years later and fans were welcomed with a trailer for a remaster of Assassins Creed 3 but for some reason the cheers were met with mixed reactions. For some reason, some fans were not on board and there was a very good reason. Over the course of 7 years, Ubisoft had turned the once fleeting franchise around and regained its reputation with Assassins Creed: Origins and Assassins Creed: Odyssey. Through these two games the franchise was rejuvenated with a more robust fighting system, different mission types, and extra bits and pieces of small enjoyment that formed the franchise we see today. But why was there worry with this remake? The reason why the remake trailer was met with worry was time. Depending on the way that Ubisoft tackles this remaster would either make or break fans opinions on the original and with Assassins Creed 3 Remastered I can say the reputation of Connor holds on, but with a few ghosts that come back to haunt him. Assassins Creed 3 takes place in 18th century Colonial America during the American Revolution and follows Connor, a half English, half Native American assassin that finds his place in history and helps America gain their independence while stopping the Templars. For the sake of time, I will be reviewing all that has been done by Ubisoft to “remaster” the game. 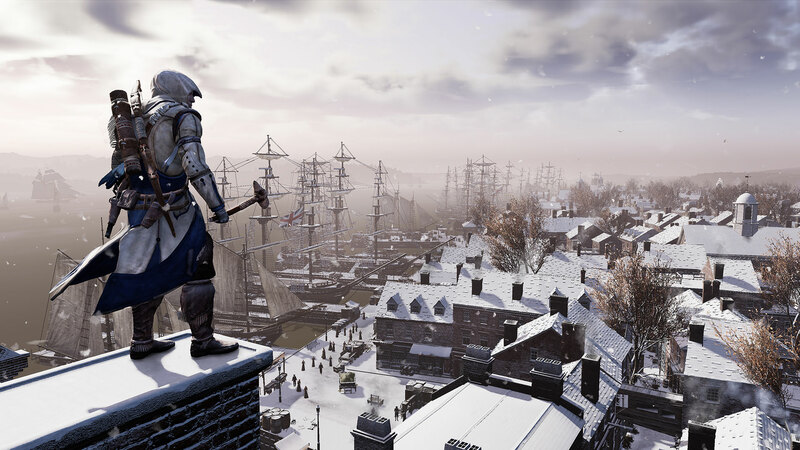 The graphical upgrade to Assassins Creed 3 is somewhat noticeable but also more of the same. The environments are pretty amazing with forests and buildings looking exceptionally pretty. Each different landscape comes to life with new textures in all walks of life. Speaking of walks of life, the human models in this game are still a waking nightmare. To spin it positively, the clothing texture and hair most noticeably are improved with each different fabric of clothing offering different seems and design but the models themselves still have the eyepopping mechanical look that looks like their face will melt off at any second. It looks as though they chose to keep the skeleton of the old game and tried to put a suit on it. Having each of them move during cutscenes does not help one bit. The bugs from the original versions of AC3 are still present in this game. Physics glitches, horse glitches, lip syncing, ai bugs, these are still ever present. They aren’t as often as the original version but I ran into all 3 issues within my first 3 hours with the game. Plain and simple, the game has not aged well. One apparent example for this is the overall pace of the game itself. The mission pacing for this game is god awful with a great amount of them boil down to following someone, running to another side of the map, and attack a group of individuals. Sometimes different variations get thrown in but some are on another level of slow and boring. One early mission has you riding a carriage undercover as your team sneaks around. 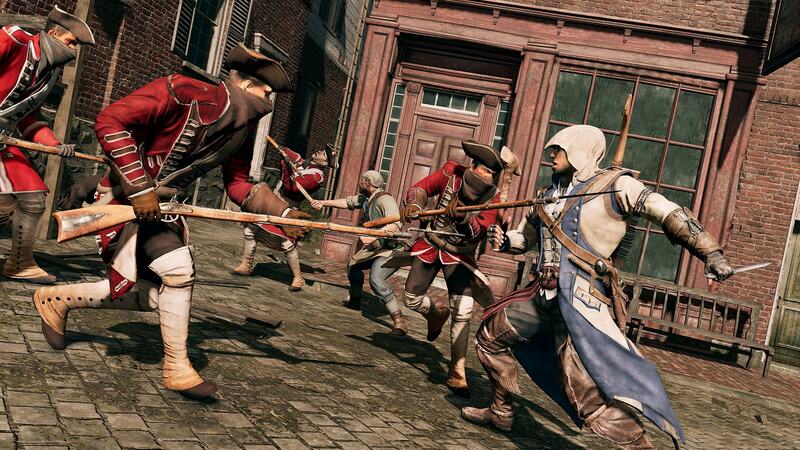 As the carriage gets closer to suspecting red coats, you press a button to have your team ambush them. That’s it. Rinse and repeat for a few minutes. One of my absolute favorite things about this game was and still is the beginning of the naval combat missions. 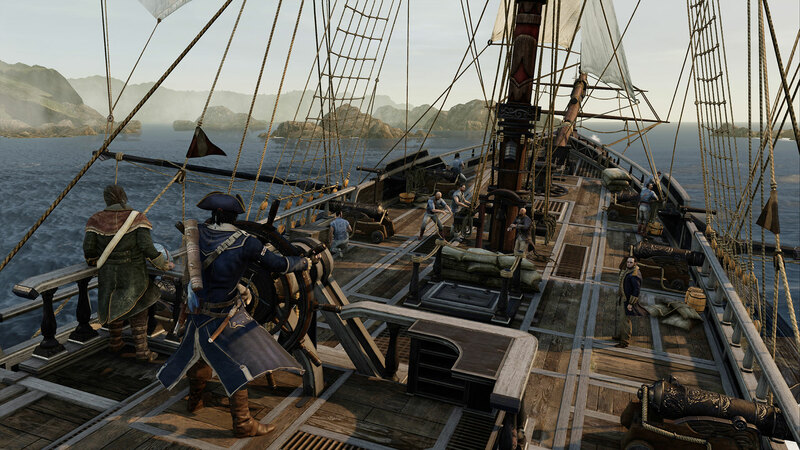 First starting in Assassins Creed 3, naval missions became a hit with fans to the point where it is featured in other titles and justifiably so. That’s not all that you’re getting from Assassins Creed 3 though as you also get Liberation, a side story featuring a new assassin by the name of Evaline de Grandpre, the daughter of a wealthy father and a slave mother. Unfortunately regarded as one of the worst Assassins Creed games, Liberation was around half the length of AC3 and doesn’t offer as much depth as you’d want for the time and location. It feels more like a side piece to the main game that never got off the ground rather than an exclusive standalone title. The dlc for AC3 is also present and does a fantastic job with presenting an alternative to history by showing what would happen if George Washington became a King. Playing with history was always a staple of the franchise but this dlc made the game just more worth pushing through the sluggish main campaign. Assassins Creed 3 Remake holds on to what makes the game fun but also fails to capitalize on upgrading it any further. The game is not bad, it is flawed, and Ubisoft seems to have missed a few polishes with this remake. For every great reminder of the story came a slow mission taking me out. For every beautiful new environment there was a glitch that broke all immersion in the dialogue.